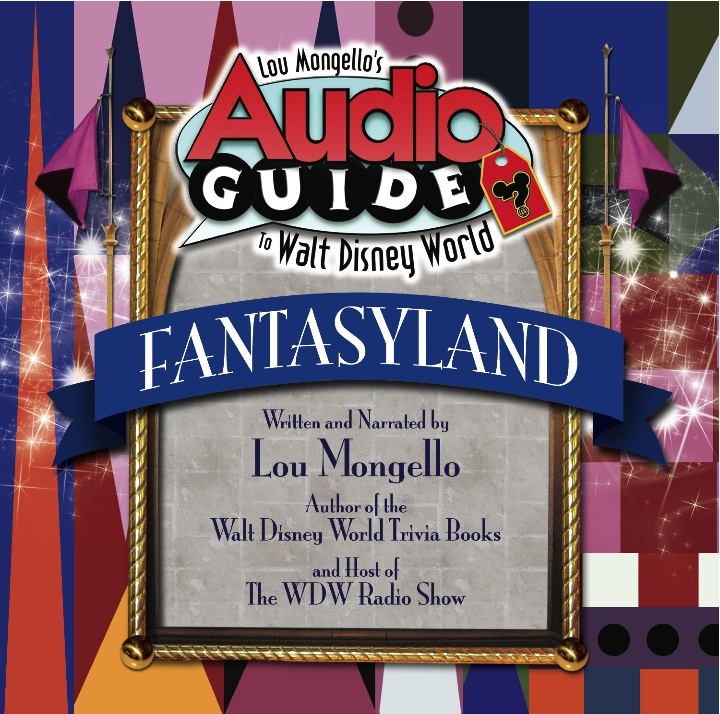 Received the latest audio guide put out by "Mr. WDWRadio and Disney Trivia Buff" Lou Mongello this past weekend. Our family uses Lou's audio guides on our trips down to WDW to build the expectation even more as well as stop the Disney-downers once we leave the parks to get us over the shock of "leaving the bubble". Just like his other audio guides (Main Street USA & Adventureland that I will review a little later), Lou has filled this little gem with all sorts of nuggets of trivia. 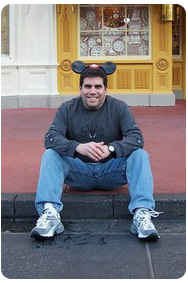 From being a longtime WDWRadio listener and even before with Mouse Tunes, I can tell you that all of us Disney-geeks are in awe of Lou's often inane and obscure knowledge about Walt Disney World. This CD is setup in much the same as the his other guides (thank you Lou for making sure there are chapters for each attraction) and is a walking guide around Fantasyland with our favorite Disney-geek. The guide starts with an Introduction of the land and then, of course, moves to an extremely detailed segment on Cinderella's Castle. Do you know how many stones make up the castle? OK, that's an easy one. Hmmm, what's that weird looking flag really for? Who's coat of arms are on the castle? How many gallons of water are in the moat surrounding the castle? I do get a chuckle every time Lou uses the word "approximate"...cause I just know Lou has probably actually measured everything down to atleast a pixie's height. From the WDW icon (a good 20 minutes on the castle and courtyard), Lou takes us around all of the other current attractions (Cinderella's Golden Carrosel, Snow White's Scary Adventures, Pooh, Mad Tea Party, Dumbo, Ariel, Mickey's Philharmagic, Peter Pan's Flight and of course, It's a Small World). Thankfully, Lou also touches on some of our beloved Fantasyland attractions of yesteryear with Mr. Toad, 20,000 Leagues Under The Sea and the Skyway). Lou takes the listener around thru the rest of the attractions making his way over to the conclusion at the portal to Liberty Square. Hmmmm, so wonder if the next land will be Liberty Square & Frontier Land? Can't wait to find out and hear what Lou has in store for us no matter where he strolls. You can purchase a copy of this guide over at this link for $9.99 on CD (download it for $7.99) or take advantage of Lou's 3-pack special and download all three guides for $19.71 (hmmmm, where'd that weird price come from?) or on CD's for $24.95. With Disney's announced changes coming to Fantasyland over the next couple of years, I'm sure Lou is already gearing up for the next volume one of my favorite lands.